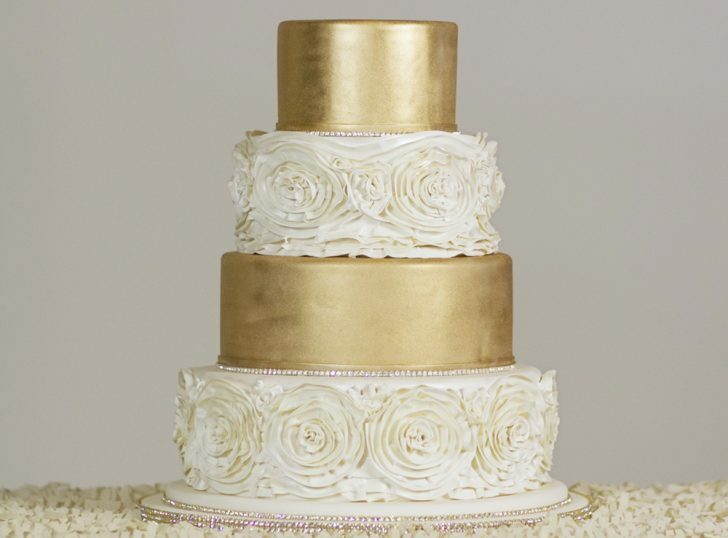 If you like gold, marbled, black and lace, Why not go for a different design or even flavour on each tier? 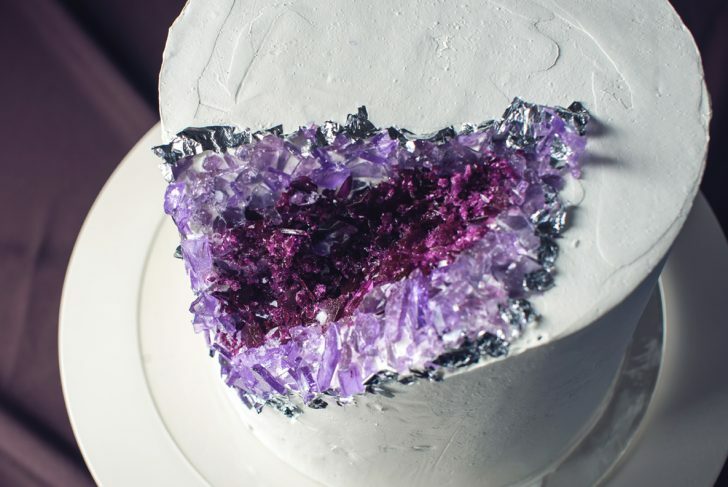 The Geode cake attracted our attention last year when it was just beginning to appear in Pinterest boards and Twitter feeds across the land. 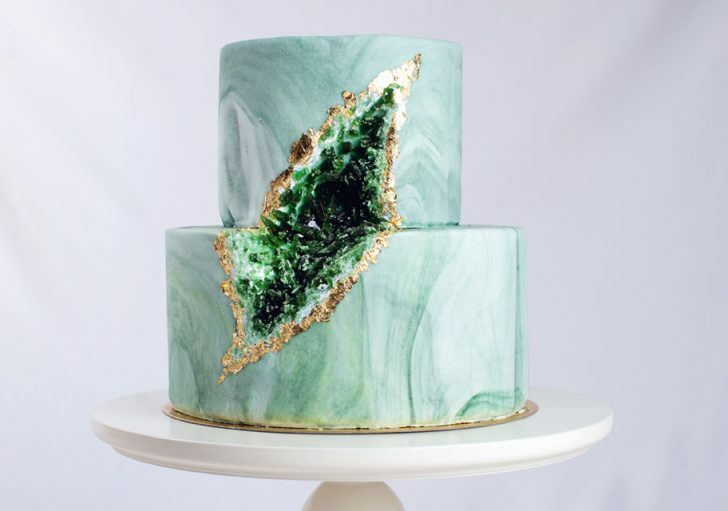 Now, a fully fledged trend, the geode cake is a stunning addition to your special day and really looks like a gem…see what I did there? Inspired by geology, interlaced with precious metals and stones, the Geode cake sparkles away as the perfect centrepiece to your wedding. 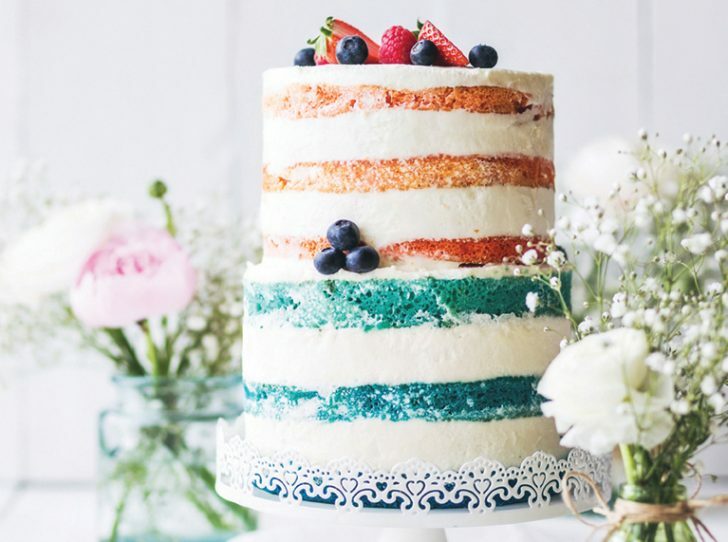 A naked cake is just that; naked. It has no fondant so all the inside goings on of the cake are there for all to see. Shabby chic in style, these cakes are a tear away from the norm and you could even colour your buttercream or sponge for an added twist! This style has been switched up for 2017 as with the addition of more buttercream icing to create a nearly naked cake. 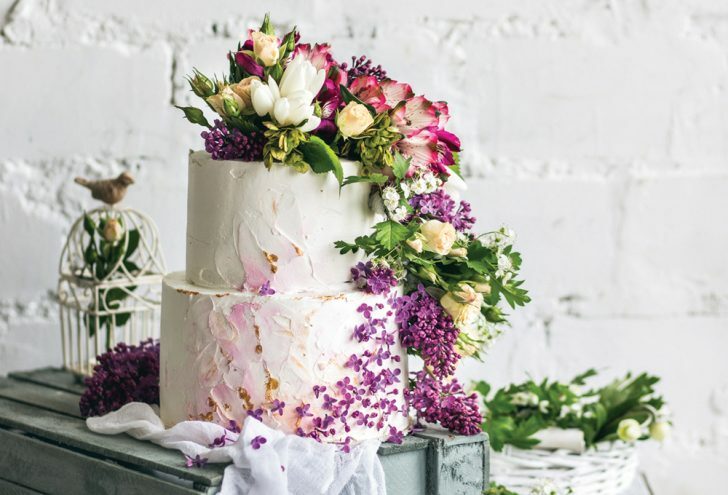 These are also being mixed with fondant layers to create a contrast between cake tiers and yet still have the naked feel for any rustic style of wedding. 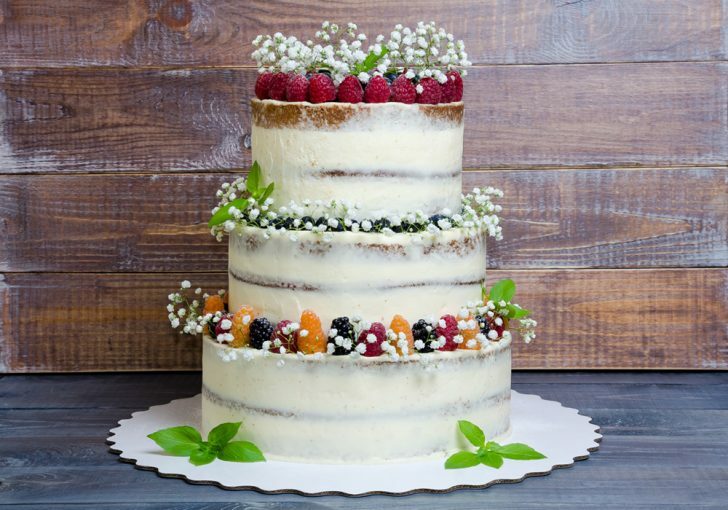 Brand new for 2017 is the woodland and botanical style of wedding cake which is now sweeping rustic weddings across the nation. The botanical style cake sees fresh greenery and succulents splitting each tier, to give a real sense of the outdoors, but with more cake! 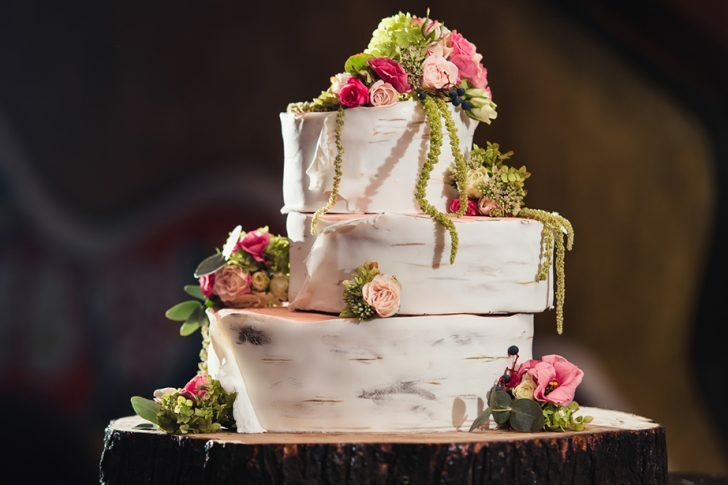 We’ve also seen woodland cakes with fondant, carved, coloured and painted to look like tree bark and laden with real or fondant flowers. 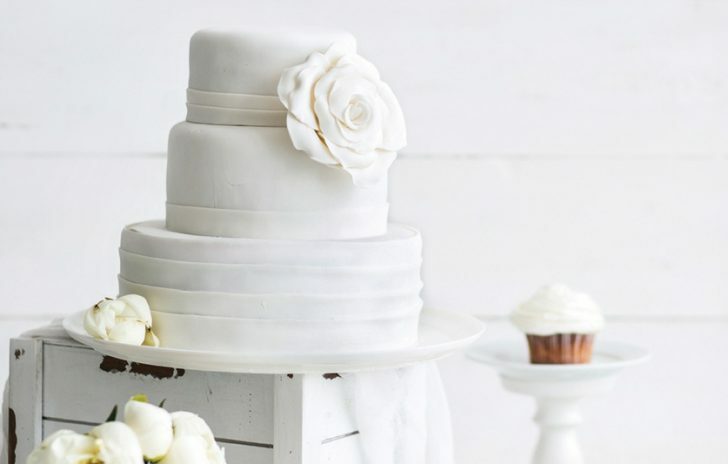 Extremely appealing and easy on the eye, drip cakes create a great dripping effect down the cake. Why not change it up even more and use metallic icing to really take your cake to the next level. 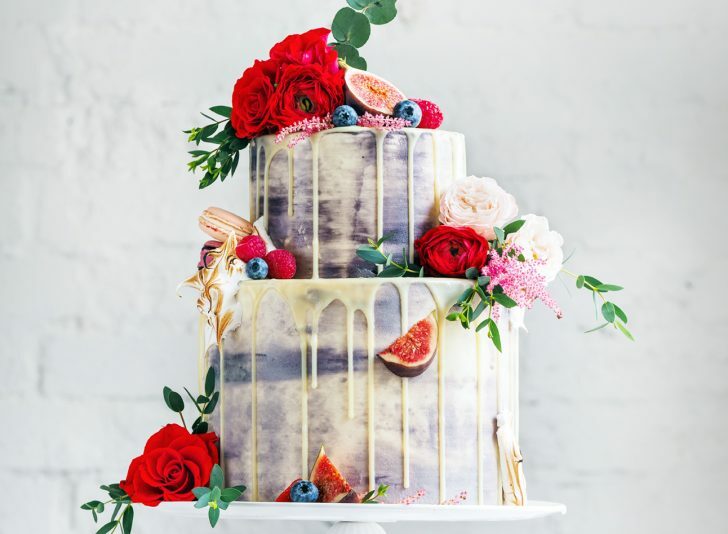 Still high on the list for wedding cake trends is the stunning metallic cake. It dazzles and sparkles and is definitely a conversation starter for any wedding. 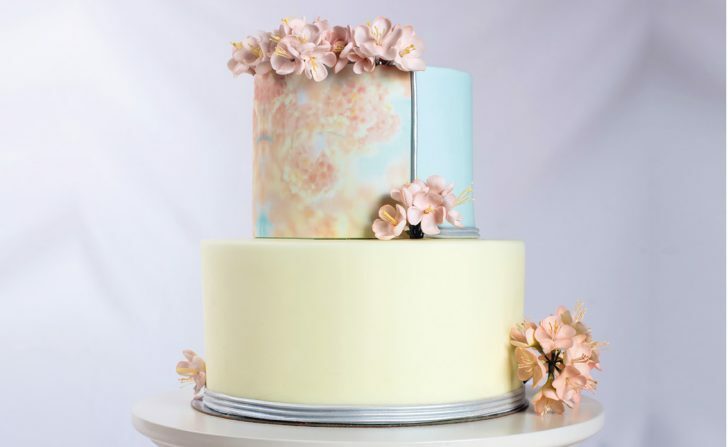 From top to toe gold to inter-mingled layers, combined with tiers of smooth pastel colours, lace, marbled or even floral will make for a wonderful mash up of a wedding cake designed to stop passers-by. Silver, gold and now copper are proving popular with tiers being hand-painted or even adorned with edible sequins. 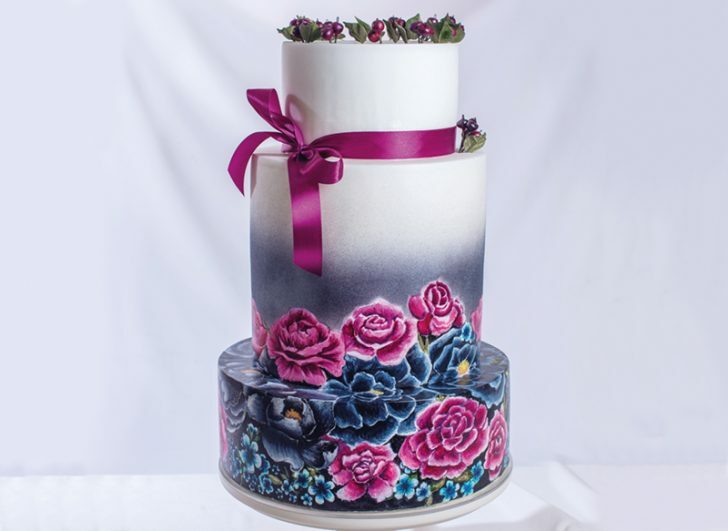 Painted and illustrated cakes are still on top form as edible works of art, from marbelised patterns to intricate floral detailing. This timeless trend can adopt a classic or contemporary feel. 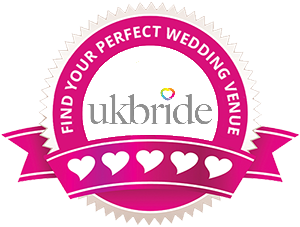 It goes with any theme and can be adapted in any way to fit your wedding. 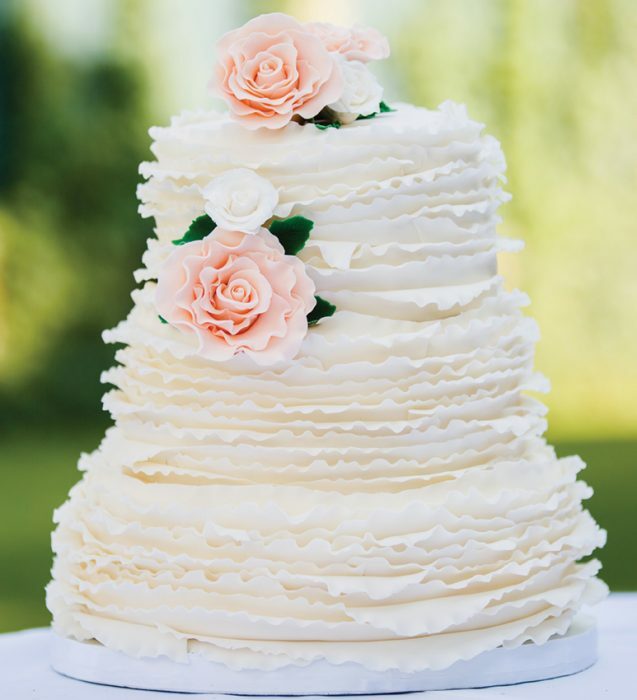 So simple and yet absolutely stunning, a white tiered wedding cake commands attention from everyone who sees it and exudes elegance upon sight. Still a popular trend for it’s easy-on-the-eye nature and subtle contemporary twist. Be it a single ruffled tier, top to toe ruffles, big ruffles in bold hues or muted colours and toned down ruffles, to make more of a uniformed straighter ruffled look, we love them! 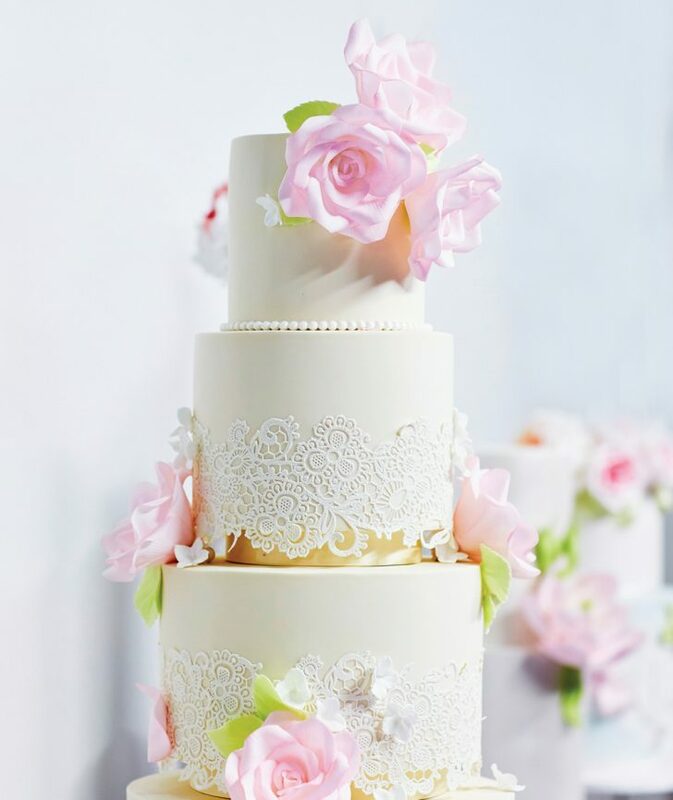 A step up from the naked or new naked cake is the no fondant, unfinished, buttercream cake, unsmoothed, ribbed or flawlessly finished. Let’s not forget good old fashioned lace, this stunningly intricate detail looks beautiful wrapped around the tiers. The latest idea to enter this cetegory are cakes in a jar. 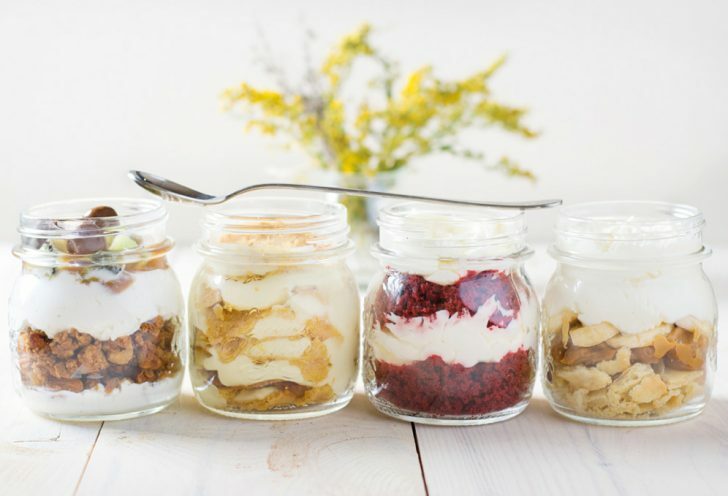 Individual glass jars, one for each guest, are filled with layers of cake and cream, and the best thing is, they stay nice and fresh and moist, they make great favours too!